When the nights in Brooklyn seem to be getting longer and longer, lasting almost entire days, Vassa finds herself looking forward to school just not to be home any longer. Part of it is her stepmother and stepsisters and part is pure boredom. It doesn’t help that Erg, the wooden doll that Vassa’s mother gave her before she died, is stealing things from her stepsisters which are then blamed on Vassa. So when one of her stepsisters basically dares Vassa to head to the dangerous local convenience store, Vassa accepts the challenge. She heads to Babs Yagg’s store, the one that dances on chicken legs and that you have to sing down. She makes sure that Erg is with her, as always, and knows that she is in for an unusual experience. What Vassa doesn’t realize is that she is headed straight into her dangerous destiny and will discover an entire magical world that she never knew existed: one with bleeding swans, a dark motorcyclist, severed hands, and beheaded teens. Inspired by the Russian folktale, Vassilissa the Beautiful, this novel for teens embraces all of the strange and bizarre in that story and takes it even further. Baba Yaga’s home on chicken feet becomes an amazing convenience store filled with some treats that are tempting and others that seem odd and still others that nauseate. The modern Babs Yagg is still very much a witch, and one that toys with her prey in haunting and excruciating ways. There are impossible tasks, the need for plenty of bravery, and real loss and death threatened at every turn. This is a mesmerizing book, one that is filled with gorgeous writing that stays out of its own way and then rises beautifully to create new moods. Throughout the book the story turns briefly away and into other perspectives like those of the swans themselves or of the attorneys who are after Babs. The language changes and weaves new patterns, creating completely different worlds and experiences and then gently carrying the reader back to the main story. It’s a powerful magic all its own. Beautifully written, this twist on a folktale is bizarre, wild and extraordinary. Appropriate for ages 14-17. Reviewed from e-galley received from Edelweiss and Tor Teen. 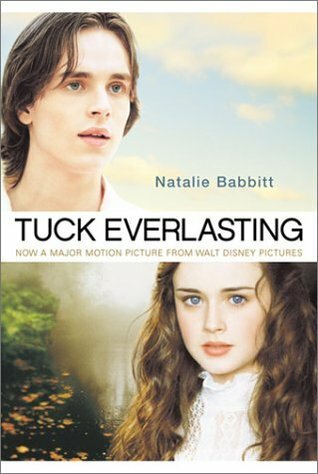 Natalie Babbitt, author of the incredible Tuck Everlasting, has died of lung cancer. She died on October 31 at the age of 84. 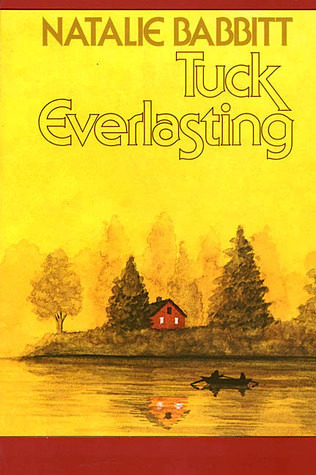 Tuck Everlasting celebrated its 40th anniversary last year.